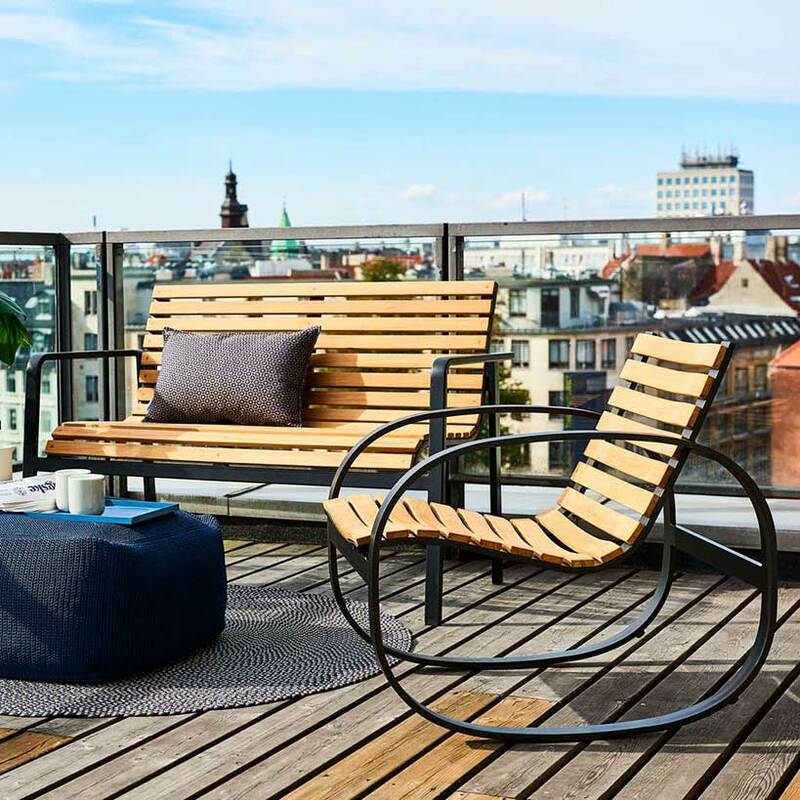 Teak is a hardwood that is ideal for outdoor use due to its high oil content. 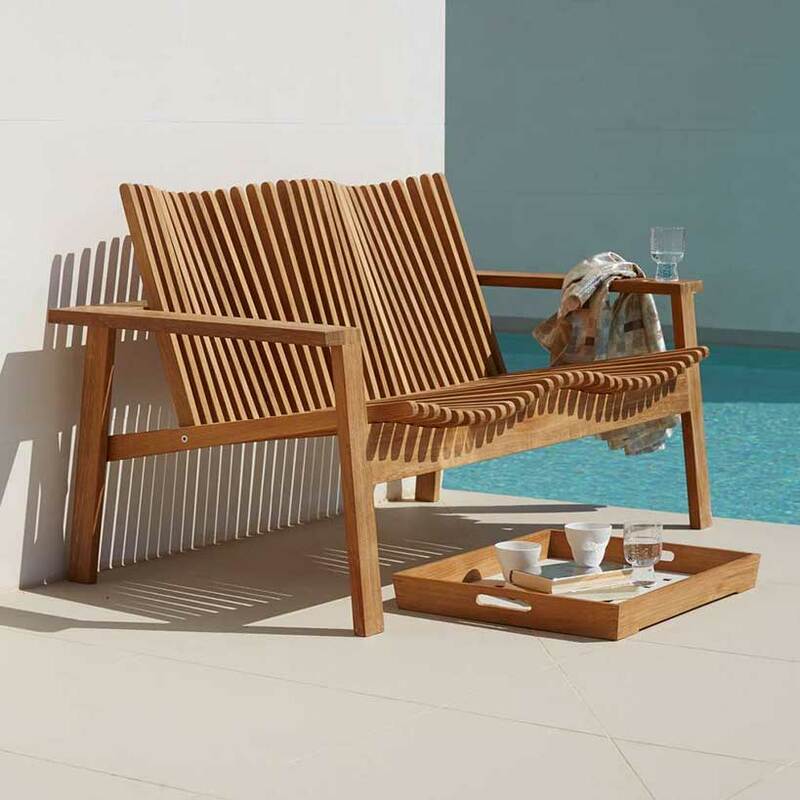 Cane-line teak furniture is made from WWF-GFTN* certified wood, which is your guarantee that the wood has been sourced from responsibly and sustainably managed forests. 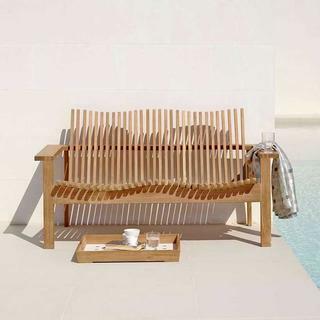 Cane-line's teak furniture is delivered untreated. If the furniture remains untreated, the teakwood will patina over time and turn a pale grey colour. If you wish to retain the original golden colour, Cane-line recommend treating teak furniture with a recommended teak sealant. Please note that teakwood is a natural product and therefore continues to change. 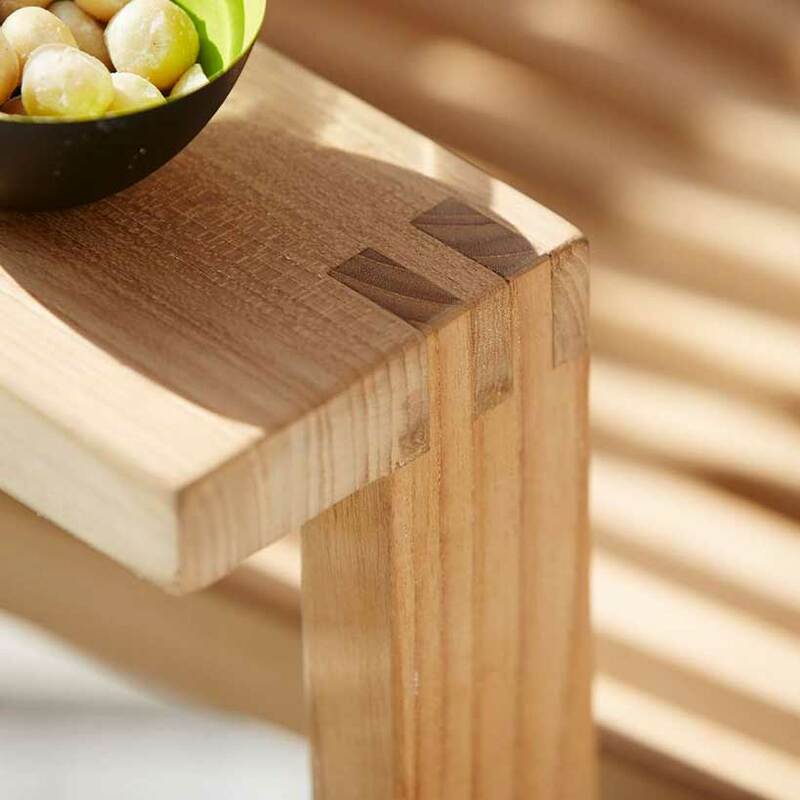 This means that small cracks can develop due to drying and that slats can warp slightly. If you wish to retain the golden colour, the furniture must be treated with teak sealant before use and on a regular basis. How often treatment is needed depends on the climate and whether the furniture is placed in a sheltered position, for example under a roof or in a garage. As a rule, teak table tops should be cleaned and treated at least a couple of times a year. Clean daily with a moist cloth, water and washing-up liquid. 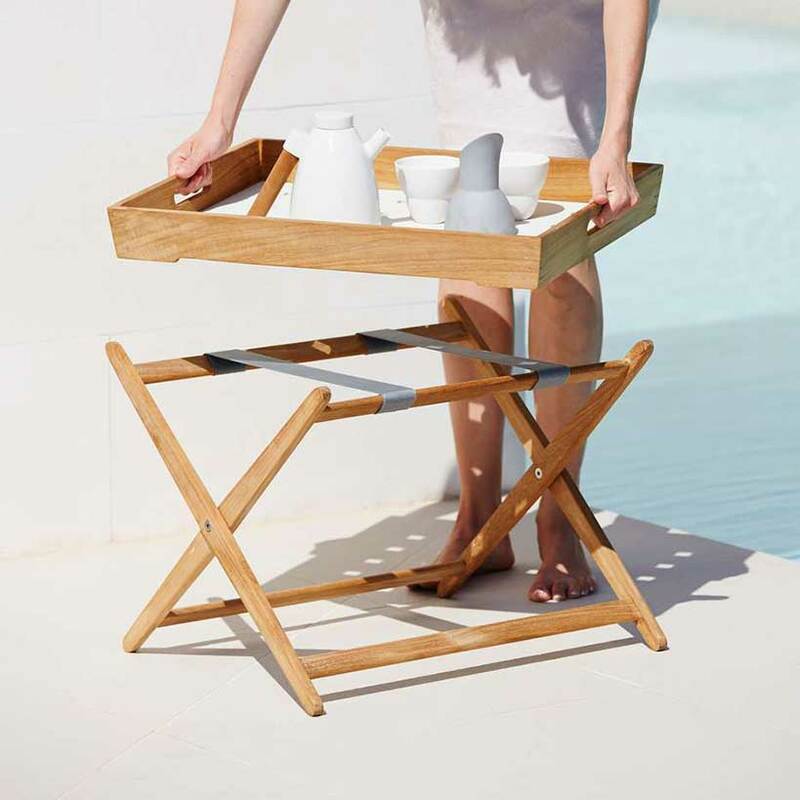 If your teak furniture becomes silvery-grey or black on the surface, it can be cleaned with a recommended teak cleaner. After cleaning and rinsing thoroughly with water, allow the furniture to dry. When the furniture is completely dry, it is ready to be treated with teak sealant. 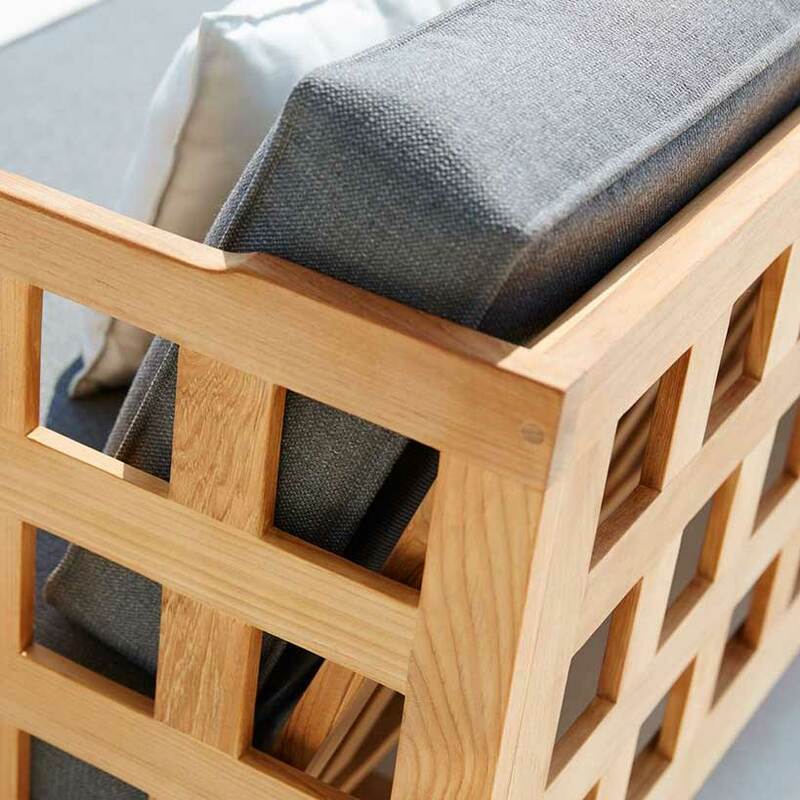 If the furniture has been exposed to the elements over an extended period of time and developed patina, it may be necessary to sand it down before cleaning and treating it. 1.It is best to store your furniture on a covered terrace, patio or carport, where it is protected from the elements. 2.Alternatively, it can be left outside under a furniture cover. Please note, however, that condensation can form under the furniture cover, which can cause mould and mildew. Make sure to lift the cover away from the furniture to ensure proper circulation and minimise condensation. If you have any queries or would like to place an order please contact us on 0345 605 2505.